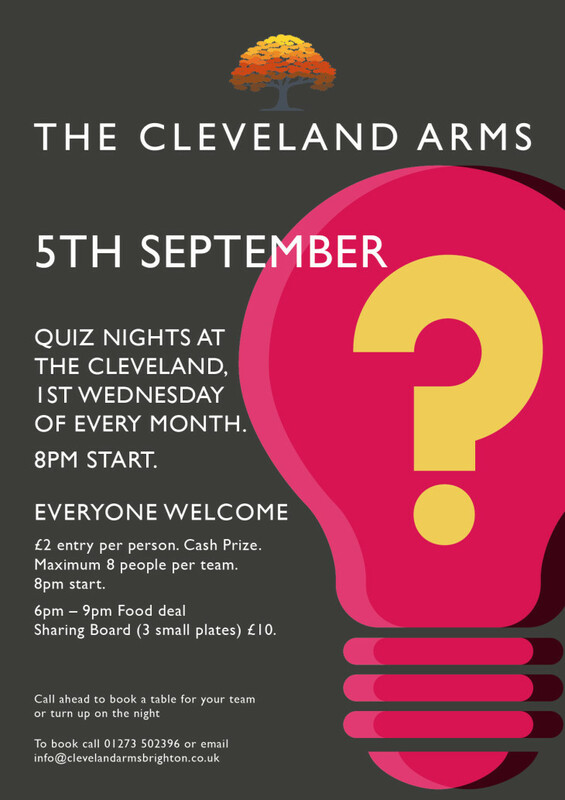 Join us at The Cleveland Arms for our ever popular quiz night!! Register your team now. Starting at 8pm with £2 entry and a maximum of 8 in a team. Also small plate special - 3 for £10. Book your table and register your team now! !